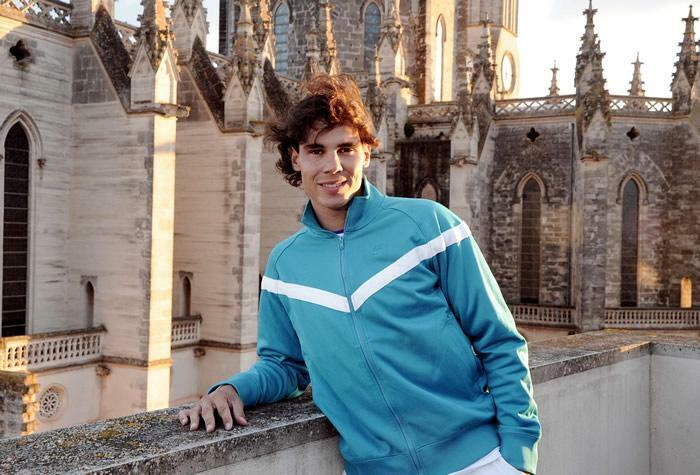 Nadal began yesterday, at 06:30am, heading to Abu Dhabi with his girlfriend Xisca. They will eat the grapes and play an exhibition tournament in which there is Federer. Before boarding, and knowing about L'Equipe award, he attended AS. Yes, it seems that we have not finished the previous one and we are starting a new one. Now is the time to enjoy the end of the year in the exhibition tournament in Abu Dhabi. Last year I got in shape to Australia because I started well in the two previous tournaments, so it will be two important tournaments to try to get right the first Grand Slam of the year. Yes, the season is always very long, so, fortunately or unfortunately, we have a lot of time to get it right. I'm starting without any extra pressure because things have gone very well in 2010. As the results that have been achieved will be very difficult. Is 2010 the best year of your career? Yes, it was the most exciting one of my career and the best in terms of results, I am very happy with how everything went. I can not ask for more. What you ask for 2011? Mainly, I ask for all the world health and the economic situation will improve because there were many people who were affected. The crisis touches everyone in one way or another. I know people that were wronged and the situation is not pleasant. On a personal level, I am unable to ask for anything because I have a lot more than I had imagined. Sport-wise, are also asking for health? Yes, because without health there can not be anything. I have peace of mind that I've done more than I had dreamed in my life. Therefore, it is business as usual and try to care. Injuries are part of the sport, we do not have to cheat. I'm not the only one who is injured and my physique, has been sometimes in difficult situations, has not been more or less than many other players. To be among the two best in the world for six years and It would have been impossible if I had he not been fit and without big injuries. I feel lucky. Is there a tournament that you have special hopes for? No, my special hopes are the day to day, as it has always been. Will be there more pressure this year in Australia about the possibility of adding the fourth consecutive Grand Slam? No, I have no added pressure. I have the opportunity in Australia to win four straight, but it's a Grand Slam tournament. That is the opportunity to complete four straight in one year is an incentive not natural and I think will be the only opportunity that I have in my career, because I won't have another one again. If I have to obtain it there is no choice but to be in this occasion. Is it possible to win all four 'major' in one year? Complete the Grand Slam, from January to November, is virtually impossible. Almost a utopia. It is very impractical for anyone and say that for me is impossible. Win three consecutive majors, and is very complicated. The best tennis player in history, Roger Federer, has done well, but it is very difficult. I do not see feasible but hey, the possibility of winning four straight slams is there.